It takes a special player to live up to the hype as “The Next One”. 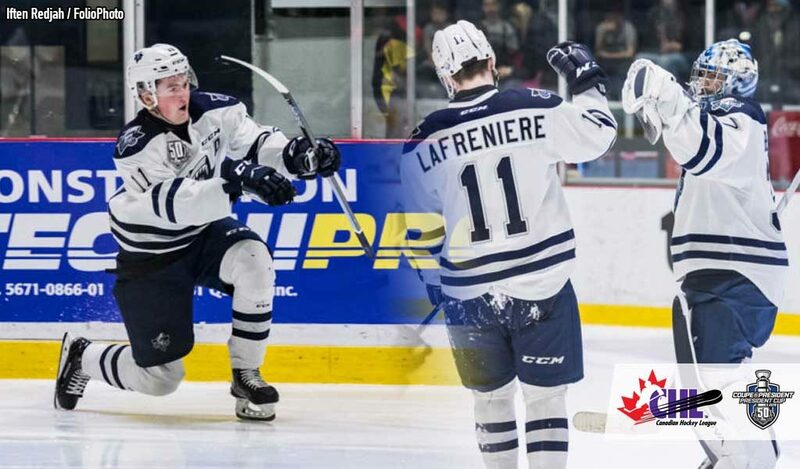 From CHL graduates like Eric Lindros to Sidney Crosby and Connor McDavid, 17-year-old Alexis Lafreniere of the Rimouski Oceanic is next in line and has seemingly had little difficulty in meeting such a billing as the budding superstar took the QMJHL by storm in just his second season. Wrapping up the 2018-19 campaign with 37 goals and 68 assists for 105 points, the native of St-Eustache, Que., finished just six points shy of Rouyn-Noranda’s Peter Abbandonato for the league scoring lead and Jean Beliveau Trophy honours, though he did walk away with the Michel Briere Trophy, awarded to the league’s most valuable player. 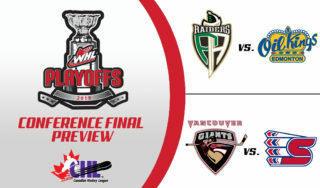 But with the playoffs now his focus, Lafreniere has his sights set on other hardware as he looks to guide the Oceanic to their fourth President’s Cup – and second in the past five seasons – and punch their ticket to the 2019 Memorial Cup presented by Kia. Rimouski made quick work of its quarter-final matchup versus the Chicoutimi Sagueneens, ousting the East Division rival in four games, a series in which Lafreniere continued to push the offensive pace as he pocketed three goals and five assists, including a two-point night in a 6-3 victory that capped the series. Of course, Lafreniere’s ability to perform in a high-pressure environment shouldn’t come as a surprise. Recall, he was a key performer for Team Canada at last year’s U18, when he finished with four goals and two assists in five games. 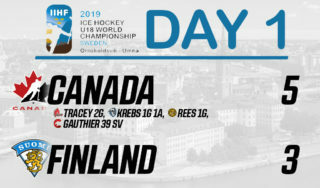 He then followed up that performance when he captained Canada at the 2018 Hlinka Gretzky Cup and finished with a team-leading 11 points in just five games and ultimately put himself on the map to later become part of the Canadian squad at the 2019 IIHF World Junior Hockey Championship. In all, it’s only added to the hype surrounding Lafreniere, the projected top pick in the 2020 NHL Entry Draft who already has scouts drooling over his exceptional hands, a keen ability to make quick, smart plays, and his growing penchant to simply dominate the opposition. 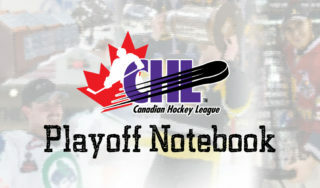 But before Lafreniere can turn his attention to his draft year – a 2019-20 campaign that will see him likely battle Quinton Byfield of the Barrie Colts for first-overall selection status – the focus remains on this year’s playoffs. In advancing to the second round, Lafreniere and the Oceanic have drawn a date with the Cape Breton Screaming Eagles, a squad they went winless against this season and who will surely prove to be the next challenge en route to a potential President’s Cup championship. The second round of the Canadian Hockey League postseason begins this weekend when the Rimouski Oceanic will go head-to-head with the Cape Breton Screaming Eagles. 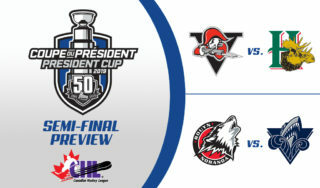 For complete QMJHL playoff preview coverage, click here.